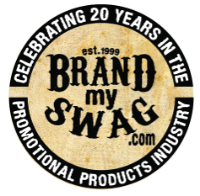 Interested in Promotional Products? Here is what we need to know to serve you best! Preset Budget or Monetary value you have preset for this item. This is extremely helpful for us if you have a target spend in mind. NO matter what Website, we want to be able to compare Apples to Apples. If you do not have item number please provide the best description you possibly can! If you are not sure what you are looking for, please tell us about your event and what your goal is for the items you are seeking. Also, let us know what promotional products you have used in the past and your customers have enjoyed.